"Everyday life. 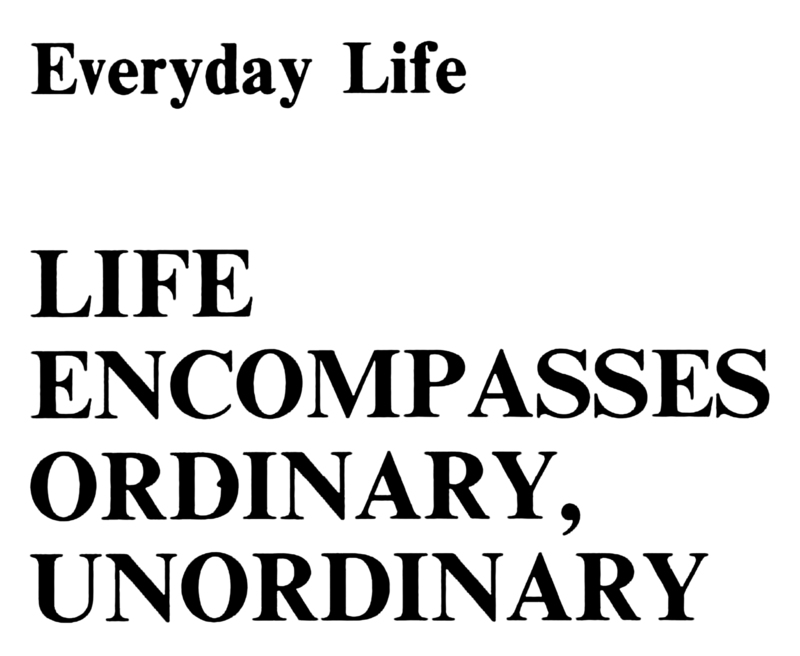 Life encompasses ordinary, unordinary." From Mars Hill's 1979 yearbook. "Life is a waffle-iron that shuts down on us and squeezes us into nice little squares like all the other waffles in the world." From McClure's, 1920. 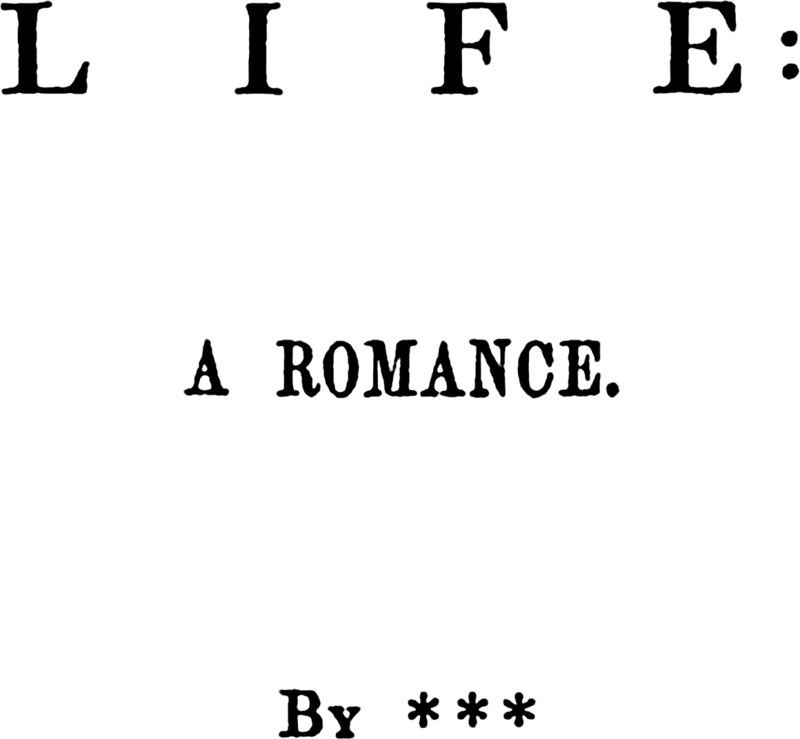 Life: A Romance by three asterisks, 1844. Life itself has an anonymous author. 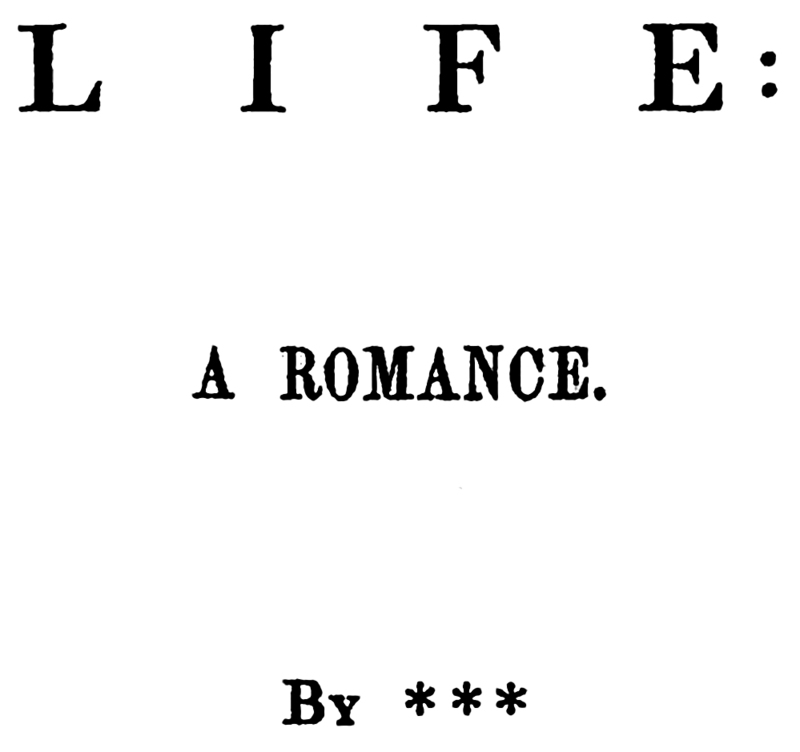 From 1844. Here are one's five engagements in the world, from The Ghost in the White House: Some Suggestions as to How a Hundred Million People (Who are Supposed in a Vague, Helpless Way to Haunt the White House) Can Make Themselves Felt with a President, How They Can Back Him Up, Express Themselves to Him, be Expressed by Him, and Get What They Want by Gerald Stanley Lee, 1920. 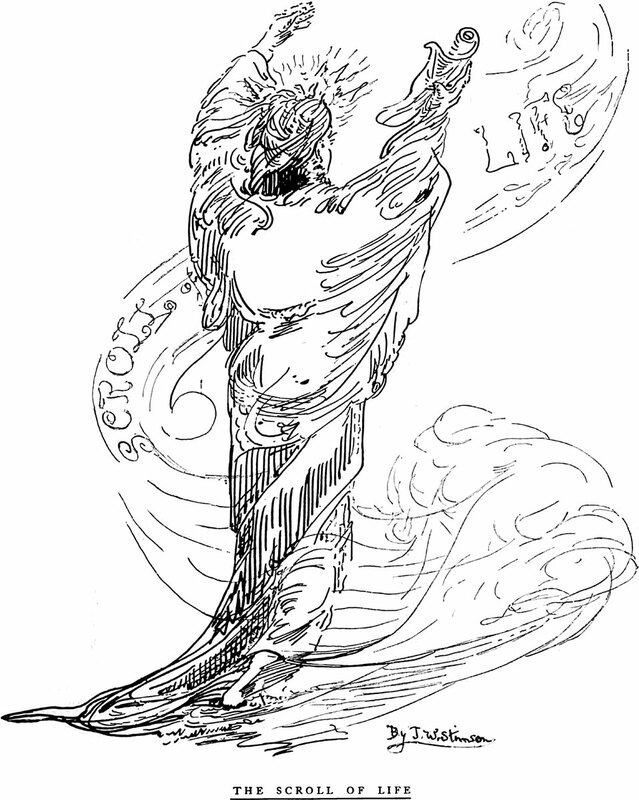 An illustration from The Gate Beautiful by John Ward Stimson (1903). The caption reads: "The Scroll of Life."